Safe365 Email Recovery Wizard is an advanced email recovery software to recover deleted or lost emails, folders, calendars, appointments, meeting requests, contacts, tasks, task requests, journals, notes and attachments from corrupted .pst file. It is a safe and read-only utility which reads the lost/deleted mail items without modifying the existing content and restores the lost data into a new file. It can recover mail items from MS-Outlook 2010, 2007, 2003, 2002/XP, 2000, 98 and 97. Step 1. 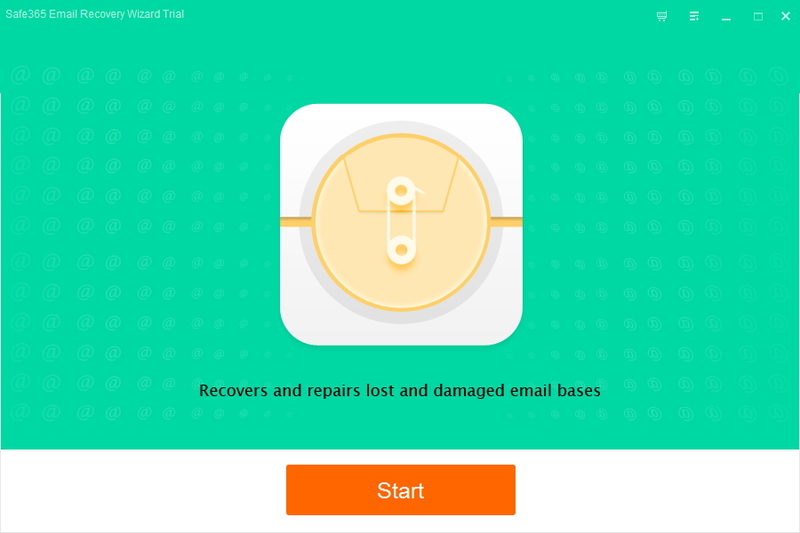 Install and launch Safe365 Email Recovery Wizard. Click "Start" button. Step 2. Please select location of the lost files. Step 3. After scan, you can preview files and click "Recover" button to save data to your computer hard disk.